Climate change is already having a huge impact in many parts of the world. Poor water availability poses serious risks to society, and as extreme weather events become increasingly frequent, this challenge is worsening. Water scarcity in cities, driven in part by rapid urbanisation, is on the increase, and climate change is making the problem worse: The World Bank predicts that by 2050, water availability in cities could be two-thirds what it was in 2015. Water shortages will have a major impact on the poorest – exacerbating inequalities, worsening health and trapping people in a cycle of poverty. 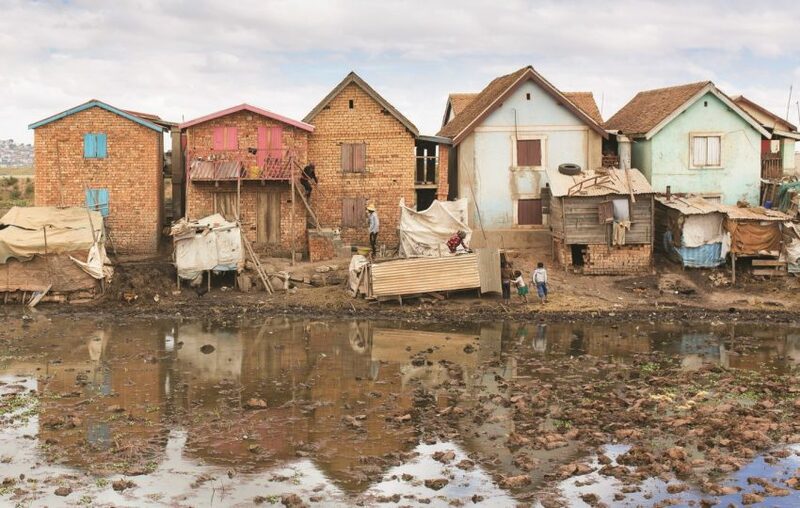 Flooding is also intensified by climate change, and again it is the poorest who suffer most. Pit latrines, often used in communities with limited access to sewers, can easily overflow in heavy rain, compromising water quality and increasing the likelihood of the spread of diseases such as typhoid and cholera. In many cities, around 50% of water can be lost before it even reaches customers. This so-called non-revenue water has a crippling effect on the availability of water, as well as utilities’ income streams. As droughts become longer and more frequent, utilities must take steps to reduce leakages and make better use of the water that they have available. 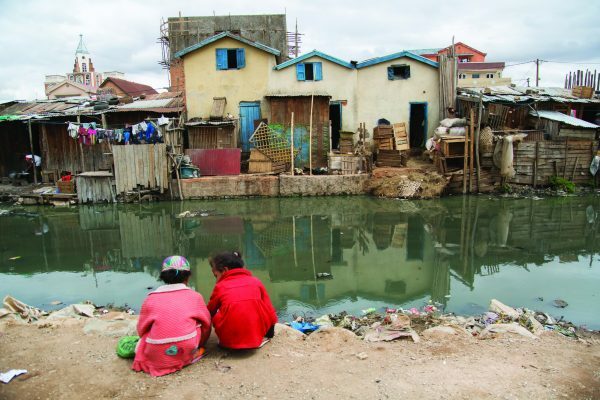 In Antananarivo, Madagascar’s capital, WSUP supports the city’s utility, JIRAMA, to reduce water loss and improve water availability for hundreds of thousands of low-income residents. As a result, JIRAMA has been able to save around three million m3 of water – enough to serve an additional 300,000 people per year. Encouraging low-income residents to empty their pit latrines prior to the rainy season reduces the amount of faecal waste flowing into streets and spreading through communities during periods of flooding. 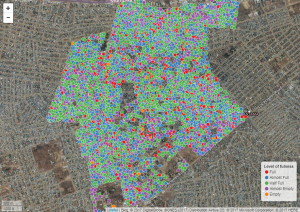 In Lusaka, WSUP created a toilet database to provide information on when pit latrines need to be emptied, helping city authorities implement climate-resilient measures that prevent the spread of cholera in the event of flooding. In addition, WSUP helps communities to improve the design of toilets so that they are raised from the ground and are less likely to overflow in times of heavy rains. By better managing heavy rainfall in a city, we can avoid the damage to communities caused by floodwater particularly in low-income communities where infrastructure can be weak. 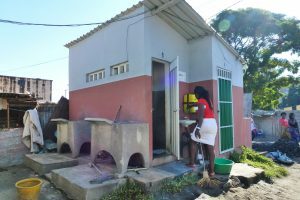 In Maputo, we have worked with the city council, CMM, to improve drainage around low-income communities. 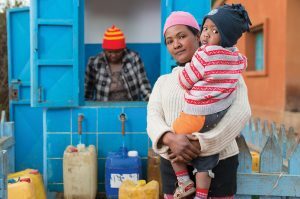 The right national policies, regulation and financing can make a significant difference to water and sanitation service coverage in low-income communities. 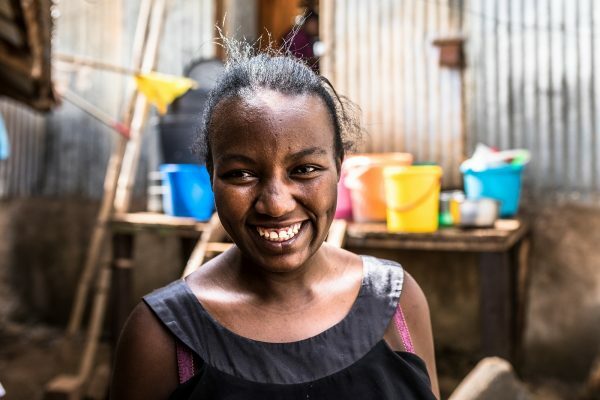 In Kenya, we helped the water regulator introduce new measures to ensure that serving low-income customers is no longer a choice for utilities, but a regulatory requirement. 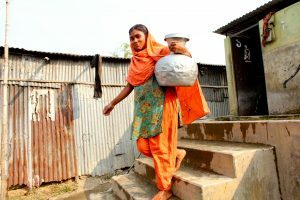 And in Bangladesh, we supported the national government to introduce a new framework determining who is responsible for delivering non-sewered sanitation services, impacting how City Corporations prioritise action in this area. Our research also has a role to play improving climate resilience. A recent study assessed the impact of extending services to low-income communities on city-wide water demand. 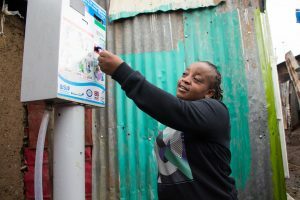 Importantly, findings of the study suggested that many thousands of low-income consumers in Nairobi and Accra could benefit from an improved level of service – a yard tap connection – with only a small increase in demand at the city level; in other words, water scarcity is not an excuse for limiting services to low-income communities. Report: March 2016 – How do improved services to slum areas impact water demand at the city level?